Our skilled and detail-oriented team loves serving your automotive needs. That means when you visit our Vineland, New Jersey showroom, you can count on a positive Toyota auto service experience, which includes only genuine Toyota parts. Whether you're interested in a simple oil change or tire rotation or you've come across a problem that needs to be repaired, our team will work to get you back on the road with a focus on safety, quality and efficiency - because we know nothing is more important to you. If you're interested in seeing what we can do for your Toyota Camry, Corolla, RAV4, Tundra or Prius, be sure to visit us at 650 N Delsea Dr Vineland, NJ or fill out our online appointment form today. We'll quickly confirm your appointment's details, such as time, date and the specific work that needs to be completed. With Toyota of Vineland by your side, you can count on a worry-free driving experience. 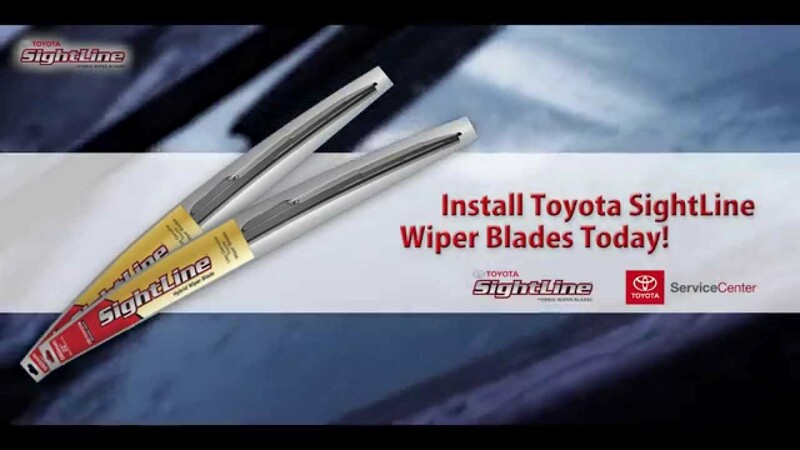 See clearly with Sightline Wiper Blades for your Toyota! Complimentary Installaton! Take advantage of our Complimentary battery test and protect your cars battery from the cold!